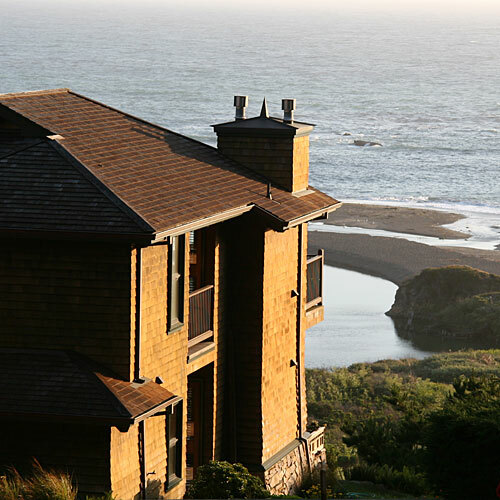 The main house, a dainty Victorian, sits on the bluff, but check into one of the Arts and Crafts-style spa suites, and you can enjoy the sea breezes from your balcony. Oceanfront cottages boast cathedral ceilings and picture windows. Seaside exposure: It’s a short walk down to a wind-sheltered cove and Greenwood State Beach. Unexpected pleasure: Enjoy massages at the inn’s day spa, complete with an aromatherapy steam shower and sauna; an afternoon bar serves complimentary wine and make-your-own cocktails. On the menu: Brunch favorites are hearty—think French toast, pasta-vegetable frittatas, and poached eggs.